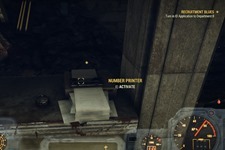 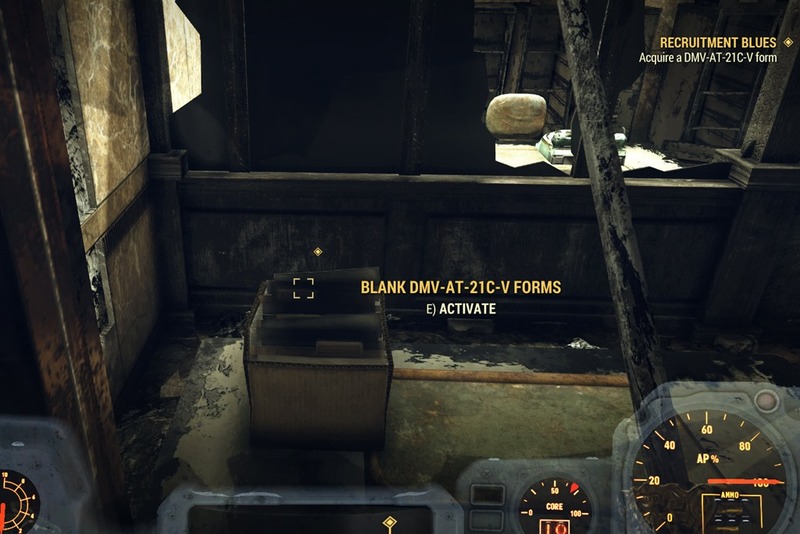 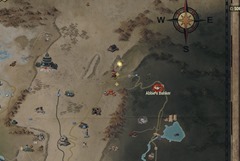 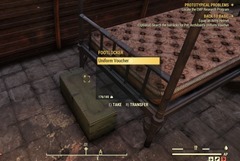 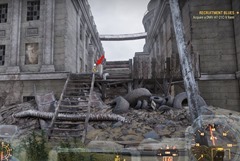 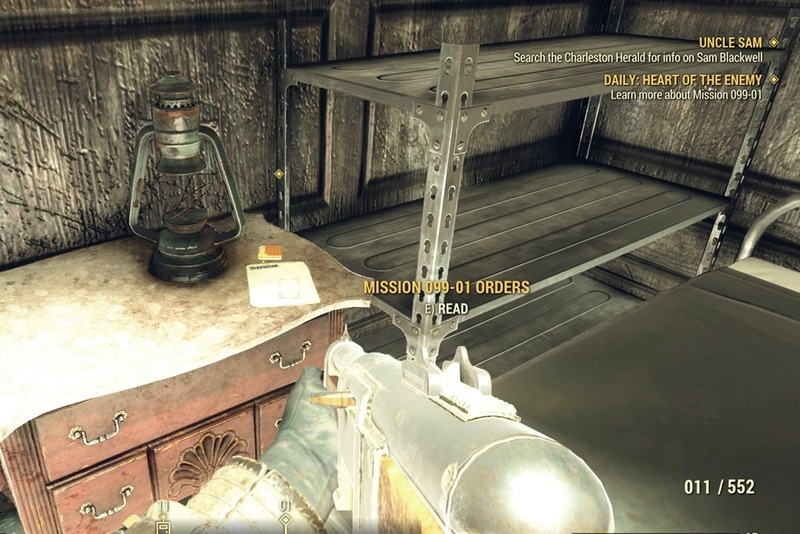 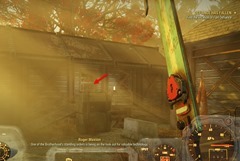 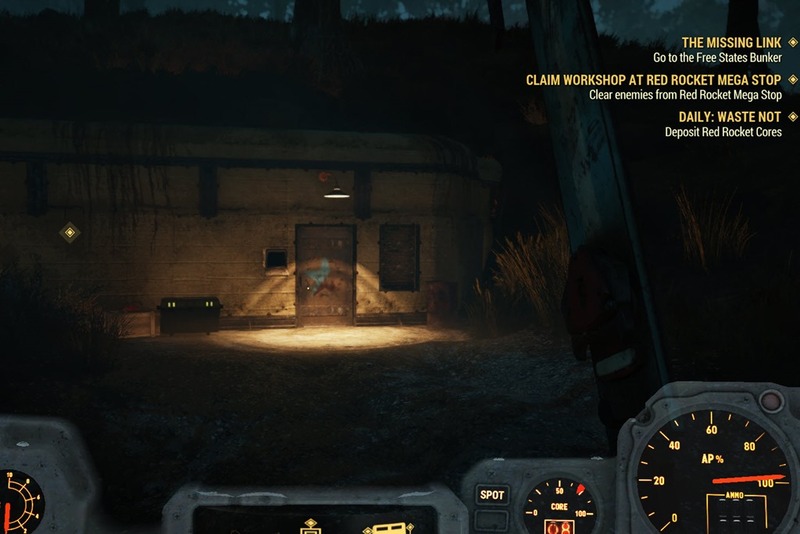 To start with the Fallout 76 Brotherhood of Steel faction quests, you will need to access Abbie’s Bunker. 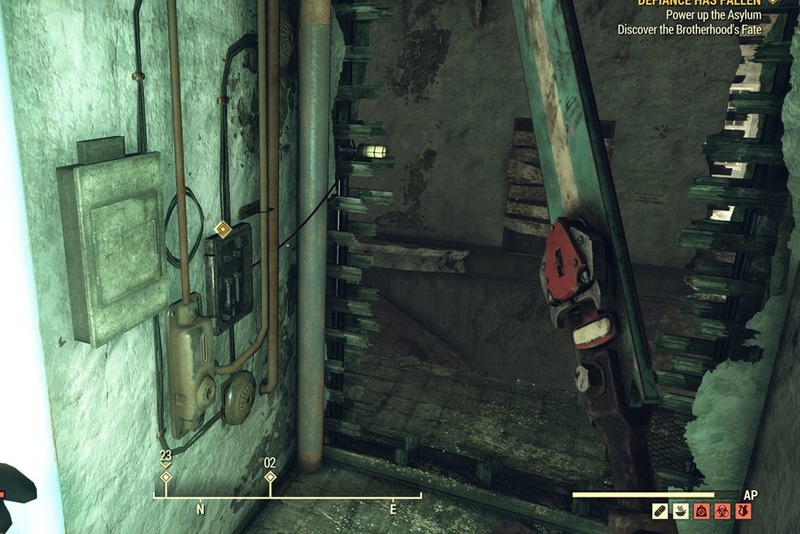 There are a couple ways to go about this. 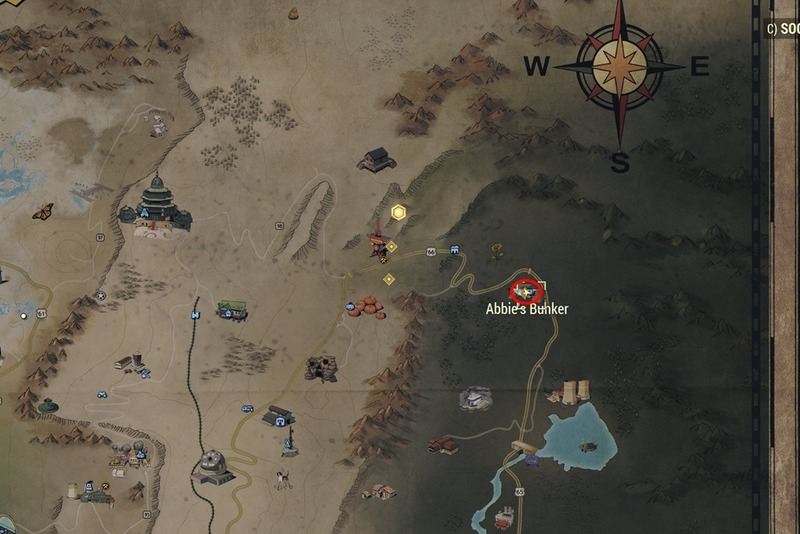 You can either do the whole Raider Faction questline and it will direct you to Abbie’s Bunker at the end of Missing Link quest. 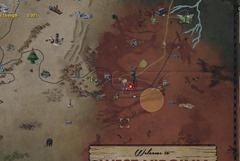 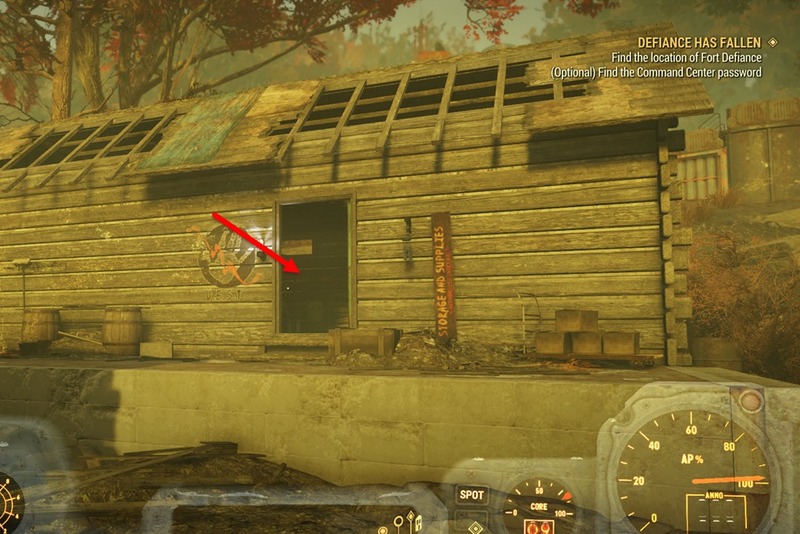 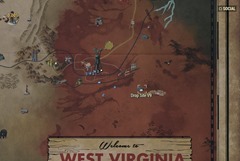 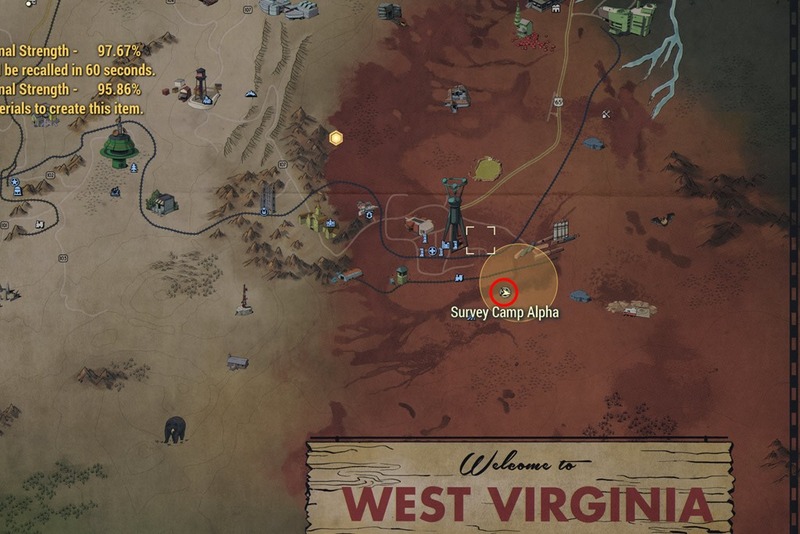 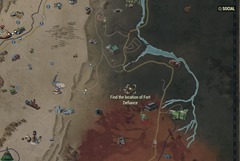 Alternatively, you can just walk up to the Bunker located NE corner of the map. 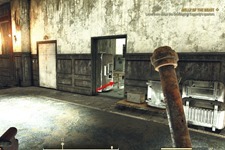 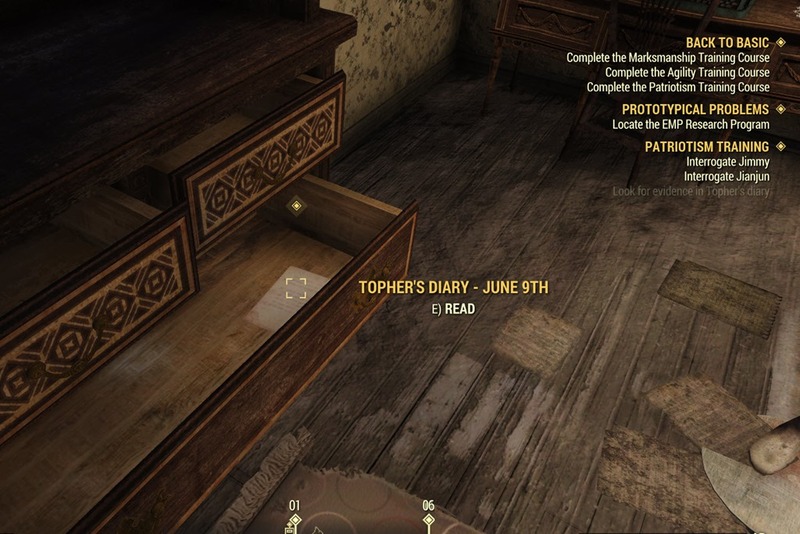 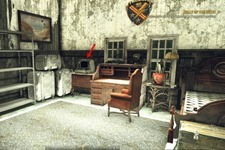 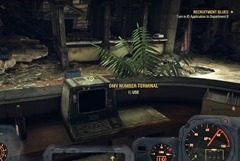 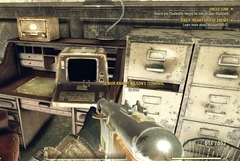 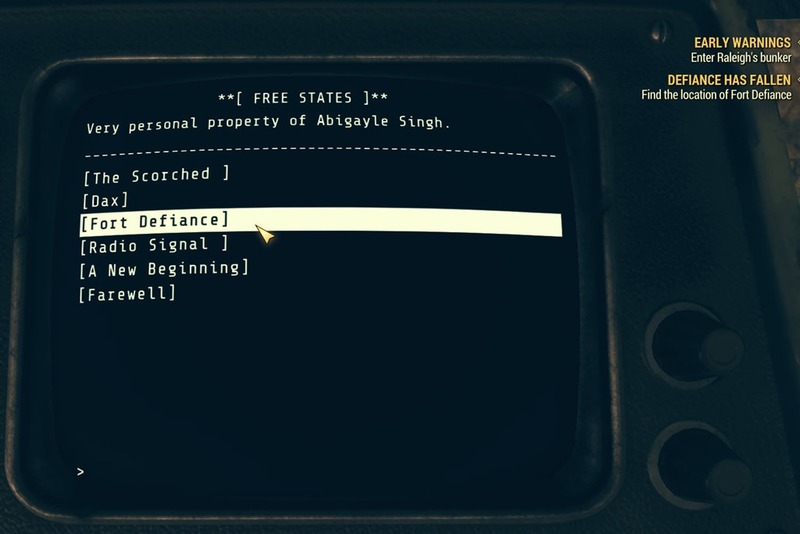 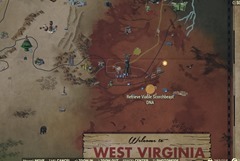 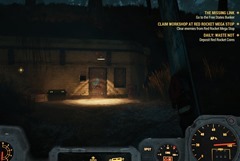 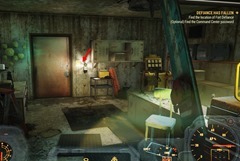 Inside Abbie’s Bunker, go through the rooms until you locate Abbie’s Terminal, read the entry called Fort Defiance to trigger the quest Defiance Has Fallen. Defiance has Fallen is the first of four quests in the Brotherhood of Steel faction series. 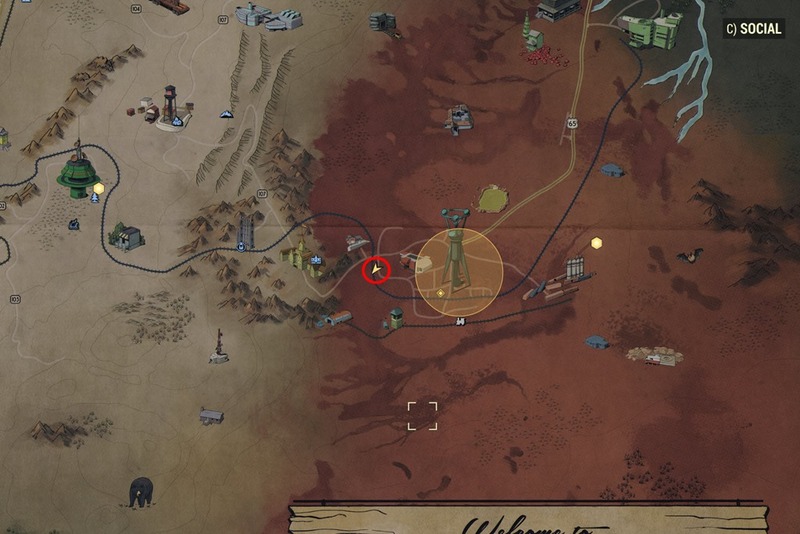 You will need to locate the location of Fort Defiance at Camp Venture. 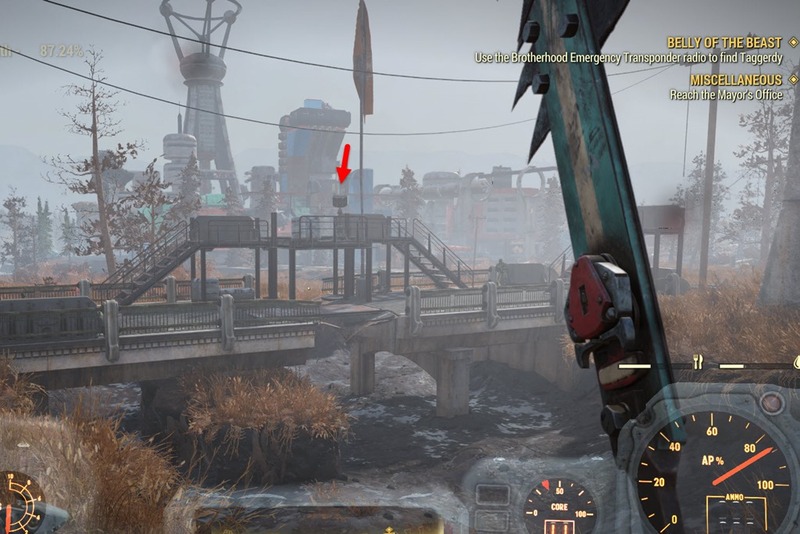 Once you get into Camp Venture, go into the little Brotherhood of Steel fort inside the camp and look for a building guarded by a terminal. 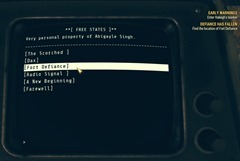 To access the terminal you will need Command Center Password (unless you have lockpicking level 3). 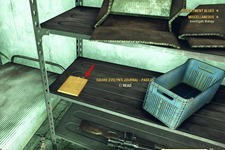 Now go to the building near the terminal and in one of the lockers you will find Secure Storage Key. Take this key with you and access the Secure Storage building outside the little fort.You will find a locked door leading to a secret basement. 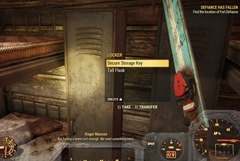 Use the Secure Storage key to unlock the door in the basement to find the Terminal password. 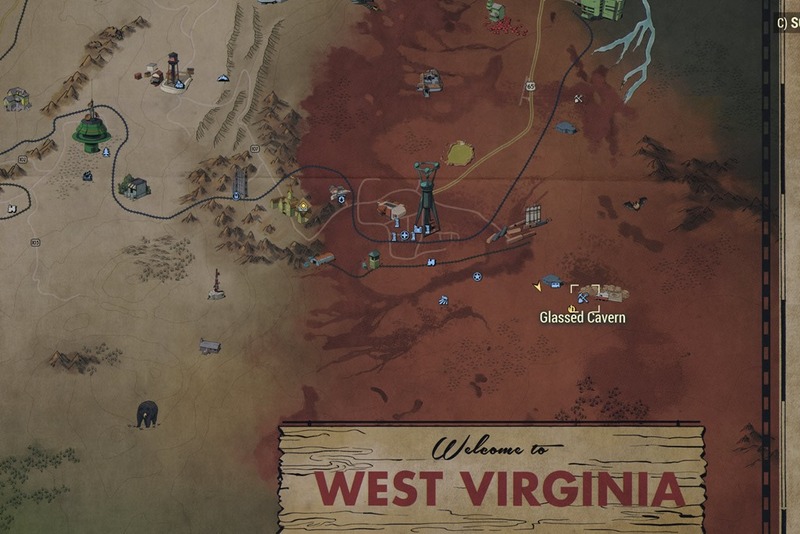 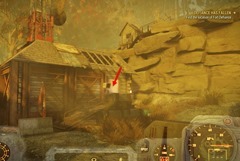 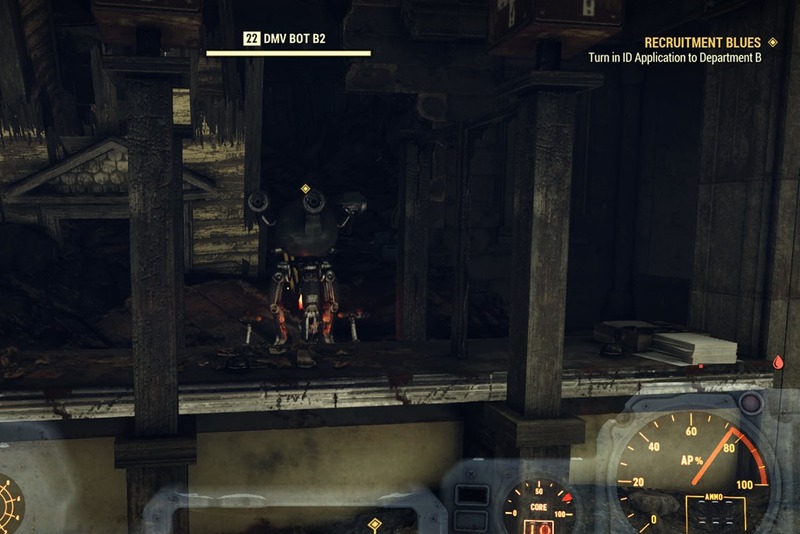 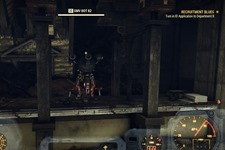 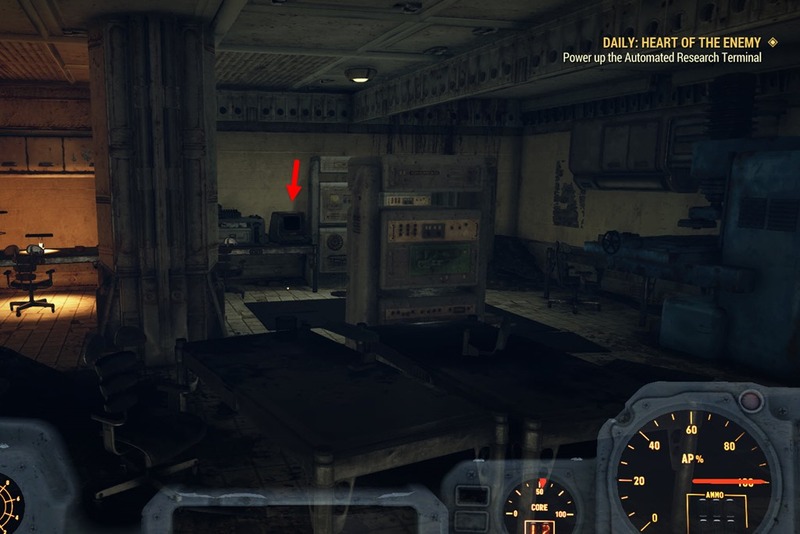 Once you are in Fort Defiance, you won’t be able to access the Brotherhood of Steel section of the Asylum until you turn on the circuit breaker located on the very top of the asylum. 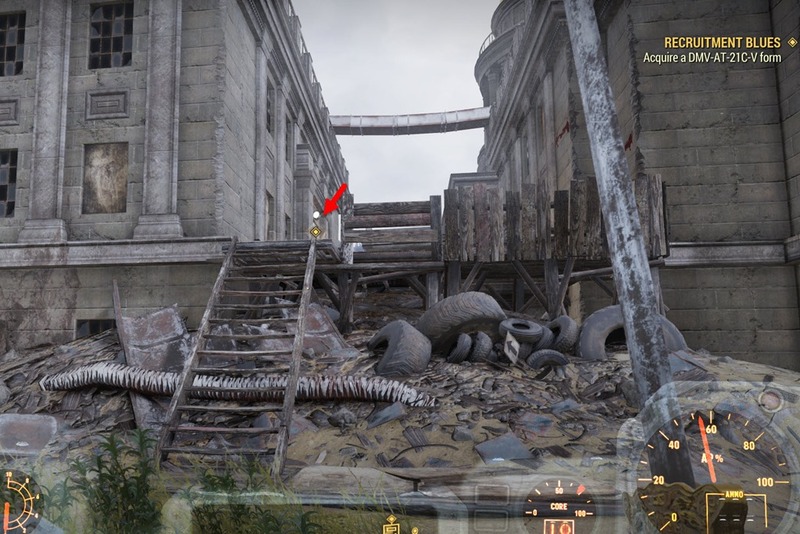 There are two sets of stairs you need to climb as the first set of stairs is blocked off at the second floor. 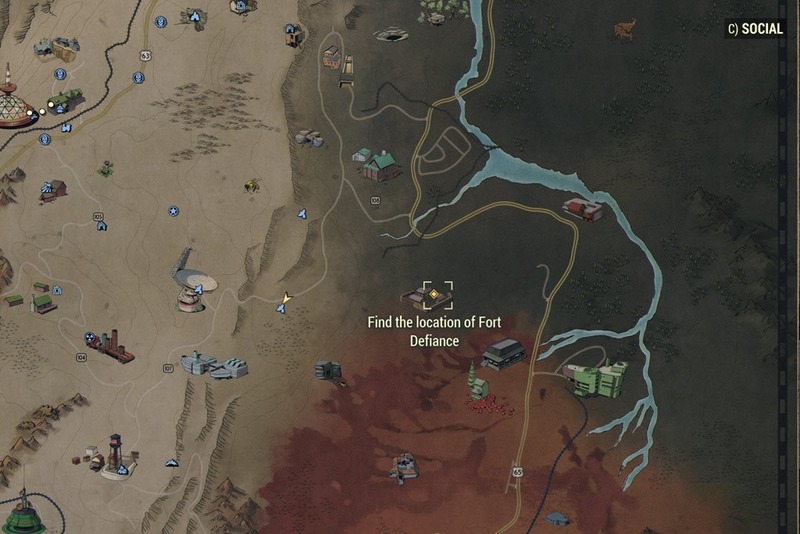 You are given this quest right after completing Defiance has Fallen. 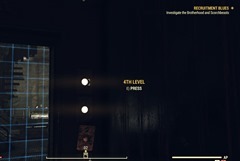 You will need to do this quest before you can continue on with Recruitment Blues as the Elevator you need to take to get upstairs requires the Soldier’s Certificate you get from this quest. 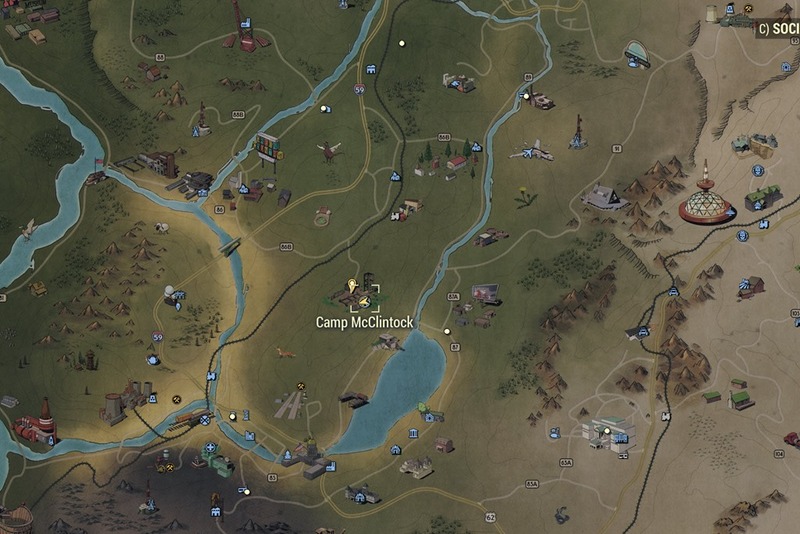 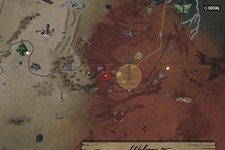 Additionally, you can get this quest by simply walking to Camp McClintock. 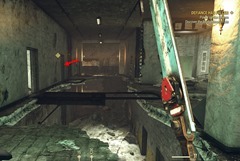 Agility Course – run through the obstacle course, make sure you activate each button in sequence. 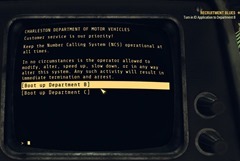 You got plenty of time so don’t rush it. 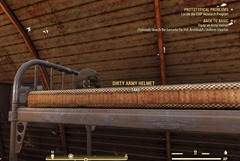 Marksmanship Course – Fairly simple, shoot the targets within the time limits. 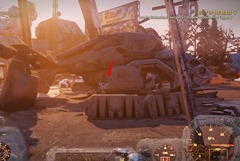 You are given this quest right after completing Defiance has Fallen. 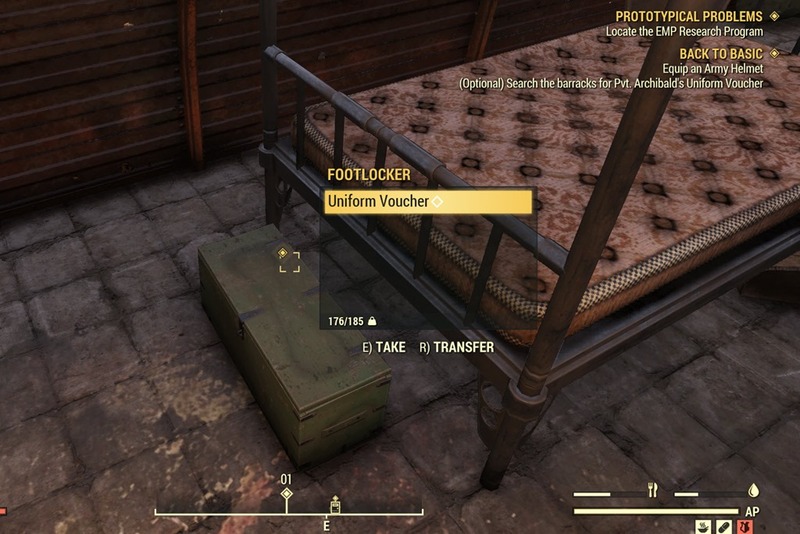 Make sure you have Soldier’s Certificate from Back to Basics to proceed. 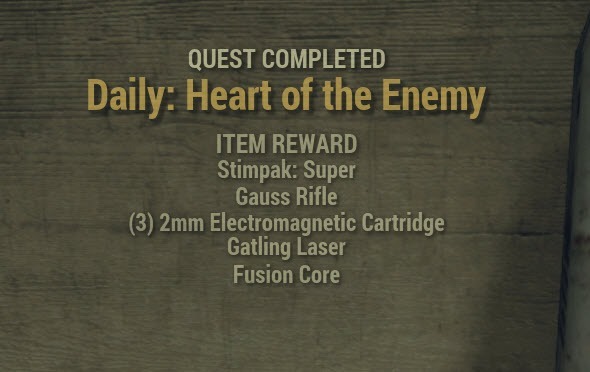 A fair warning that this quest is fairly tedious with lots of fetch steps so extra patience is needed. 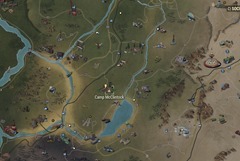 If you don’t have your Soldier’s Certificate, here is your opportunity to get it now from Back to Basics at Camp McClintock. 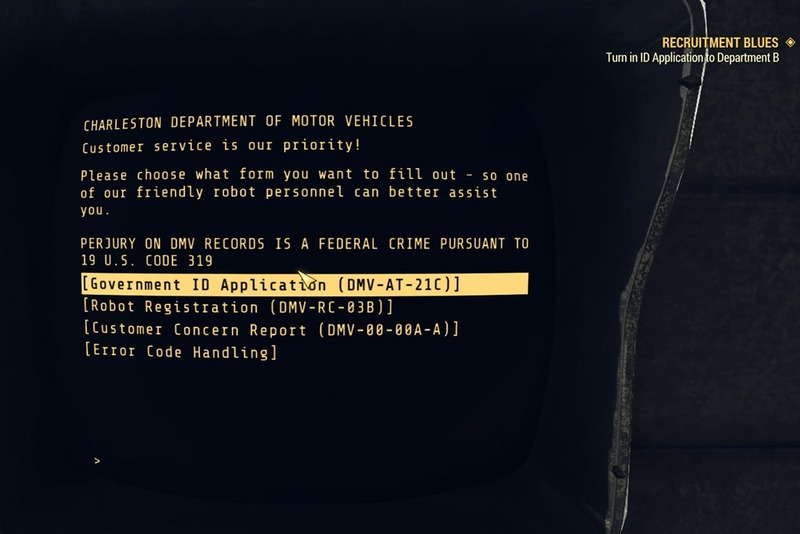 Once you got that certificate, head to the Charleston Capitol DMV near the Charleston Capitol Building to get it printed. 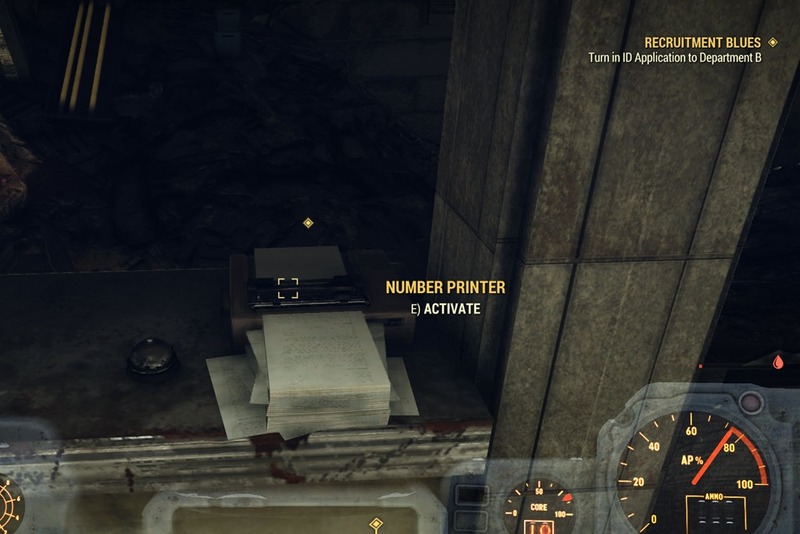 Next, talk to the DMV Bot B2, interact with the number printer to print out your ticket number and check your inventory to see what ticket number you got. 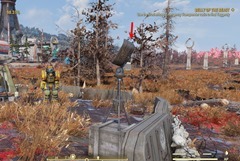 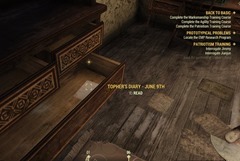 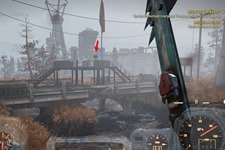 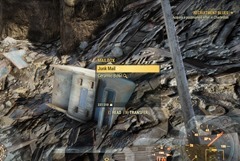 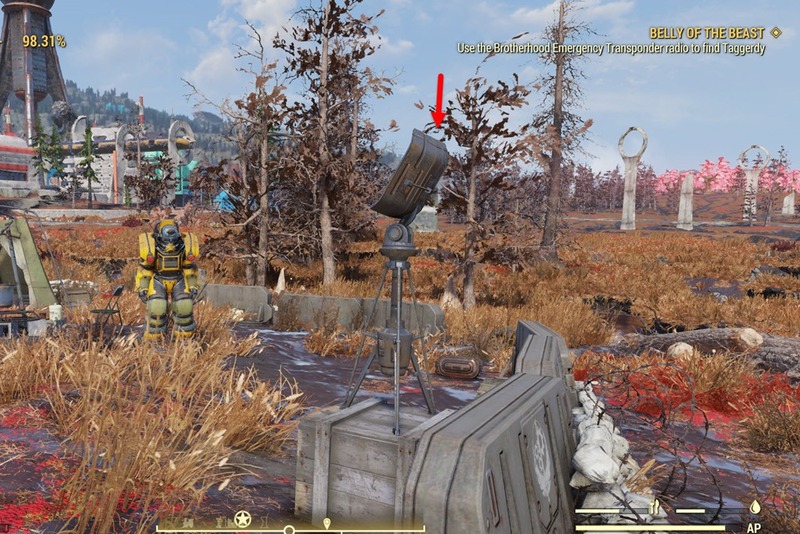 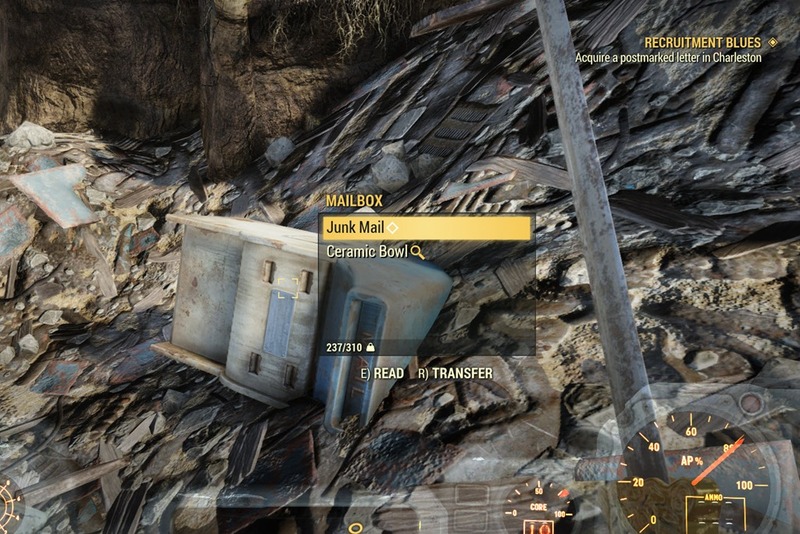 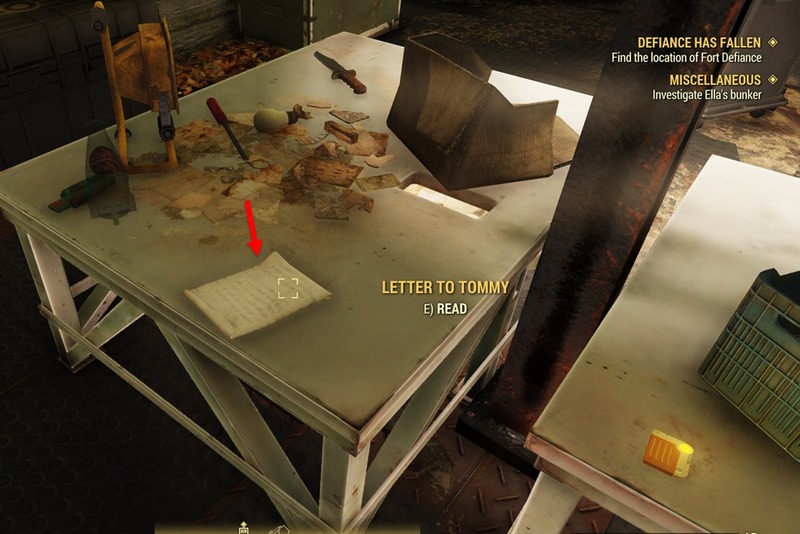 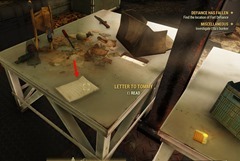 Move outside the Capital Building, go to the marked area on the map and you will find a mailbox on the ground with Junk Mail inside. 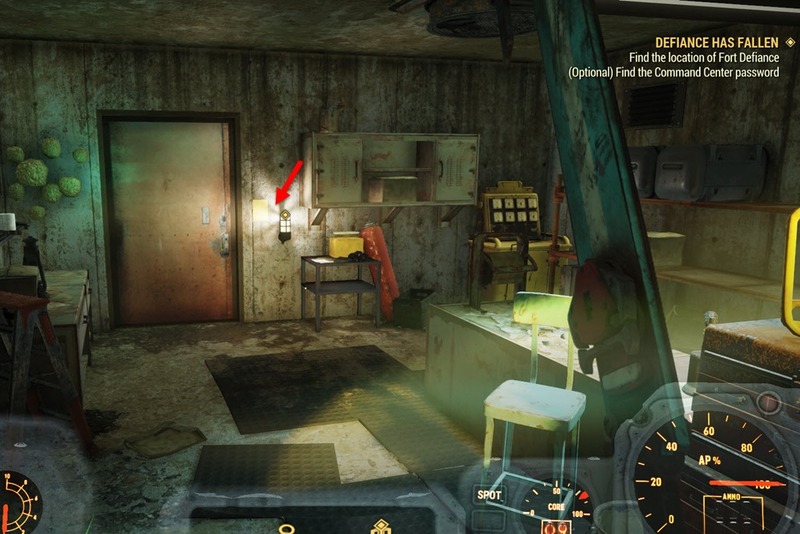 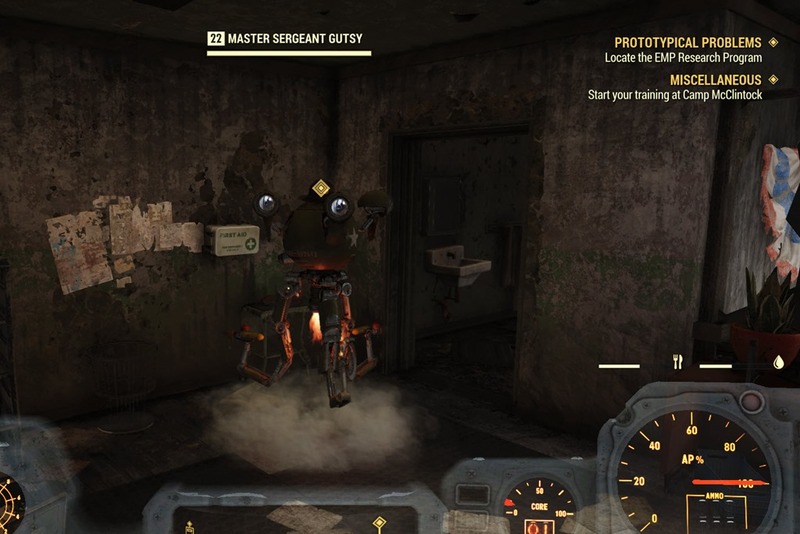 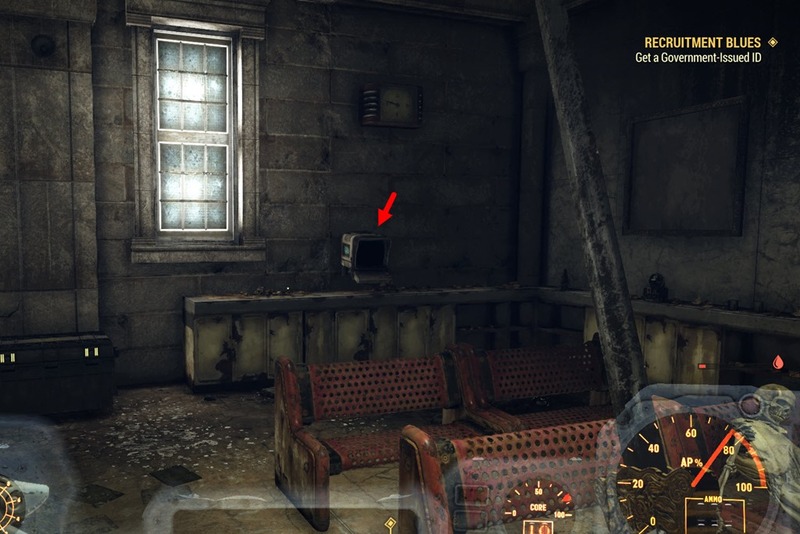 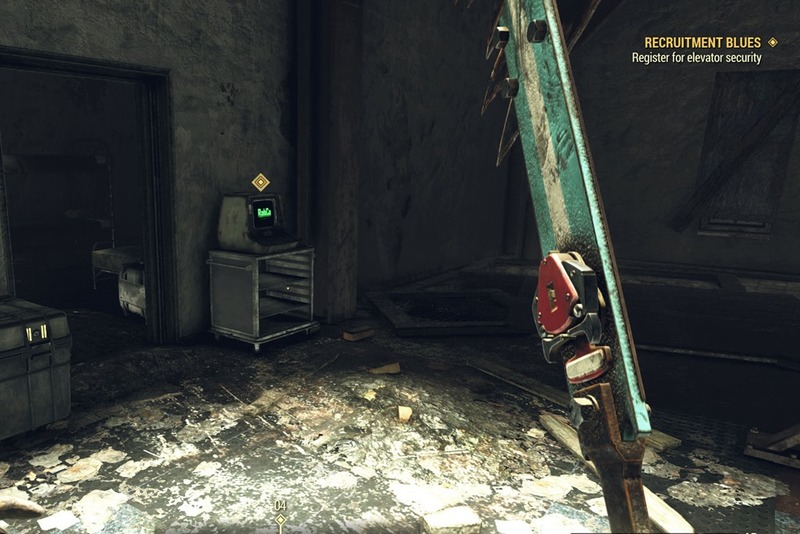 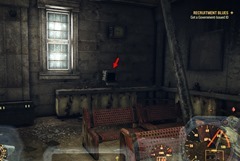 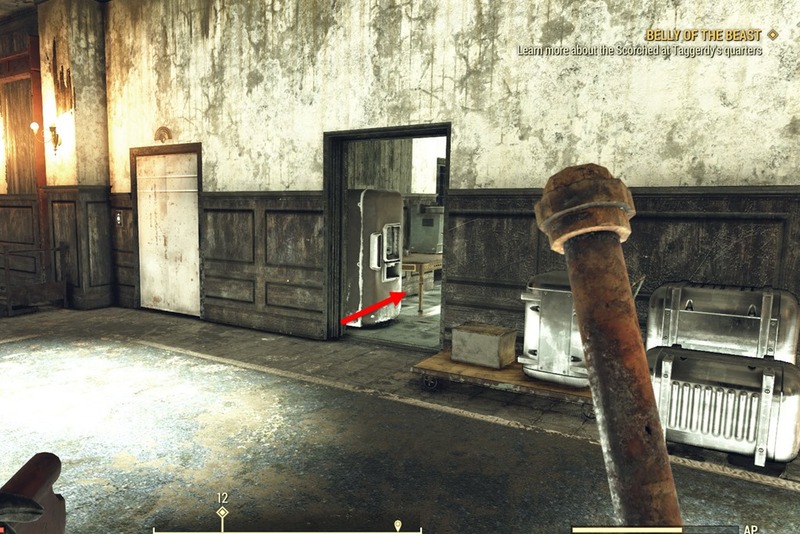 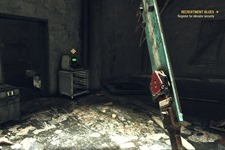 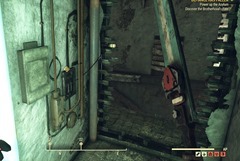 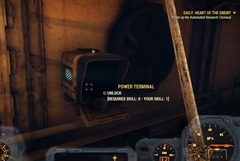 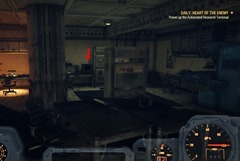 These can be found in the basement level of the Charleston Courthouse, which is in the same building as the DMV but the quest objective may tell you go exit the DMV and enter the Courthouse from another entrance. 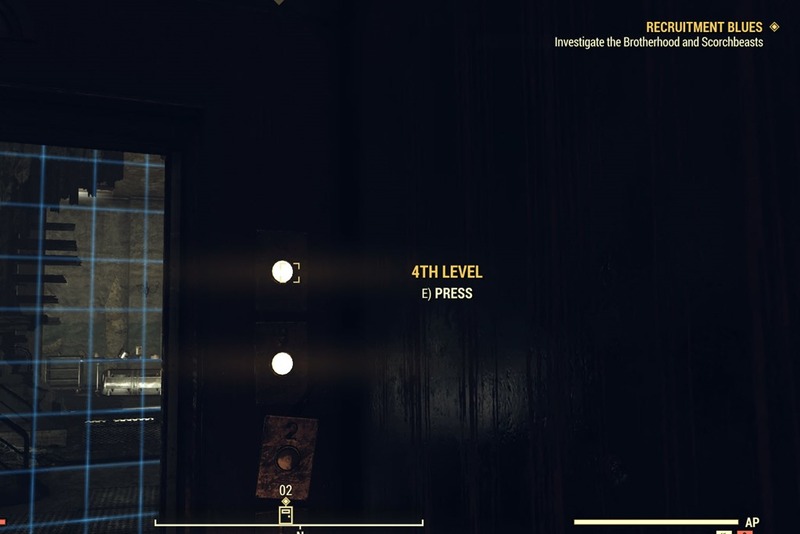 You can either grab them from the window or lockpick your way in. Go into the terminal, pick Error Code Handling and then Error 34B/1. 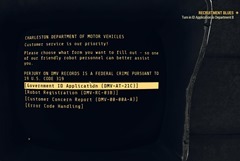 You now need to get the form stamped, the Governor’s Seal is in the same building as the DMV so you don’t need to run out. 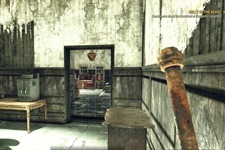 Return to C1 once you have your form stamped with the seal. 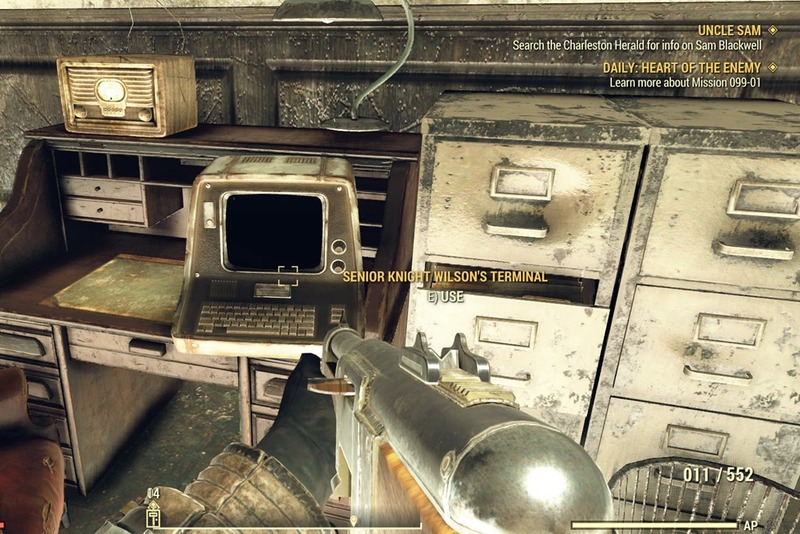 Check Senior Knight Wilsons’ Terminal and the first entry should trigger the completion of the quest. The fifth and final transponder is deep inside the Glassed Cavern, which is surrounded by Scorchbeasts so find the entrance ASAP and get yourself inside the cavern. 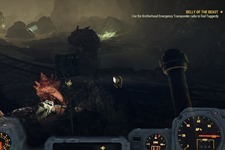 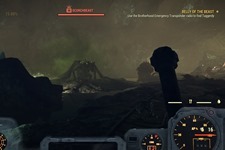 Go through the cavern, the transponder you are looking for is deep inside at the end of the cavern and you will need to fight a level 50 Scorchbeast who will spawn as you get close to the transponder so be prepared for a fight. 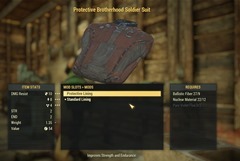 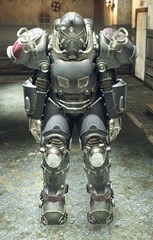 Rewards: You will be given a full set of Ultracite Power Armor which has a level 50 requirement to wear. 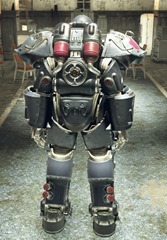 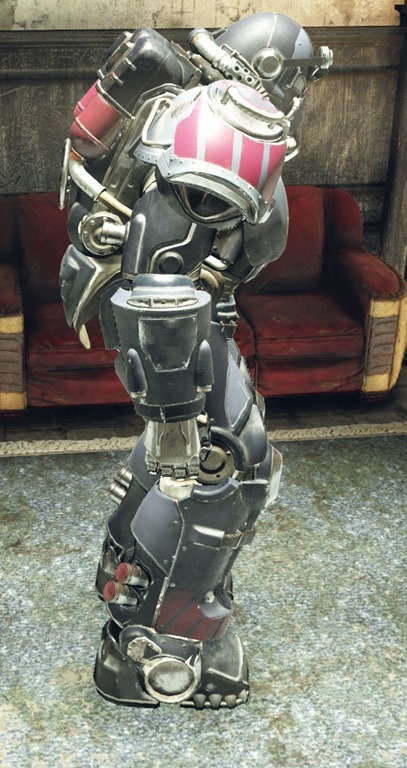 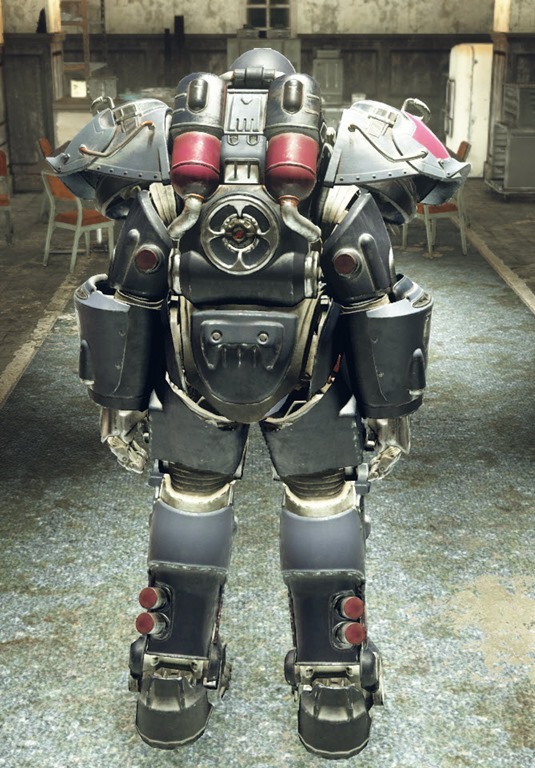 It is one of the endgame Power Armor sets so don’t scrap it yet. 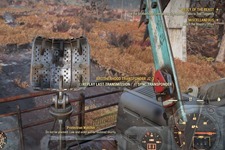 Additionally you will also get the plan to craft the Minigun. 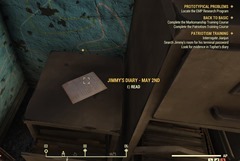 This daily quest can be triggered by going to the fourth floor of Fort Defiance and then viewing Senior Knight Wilson’s Terminal in one of the rooms. 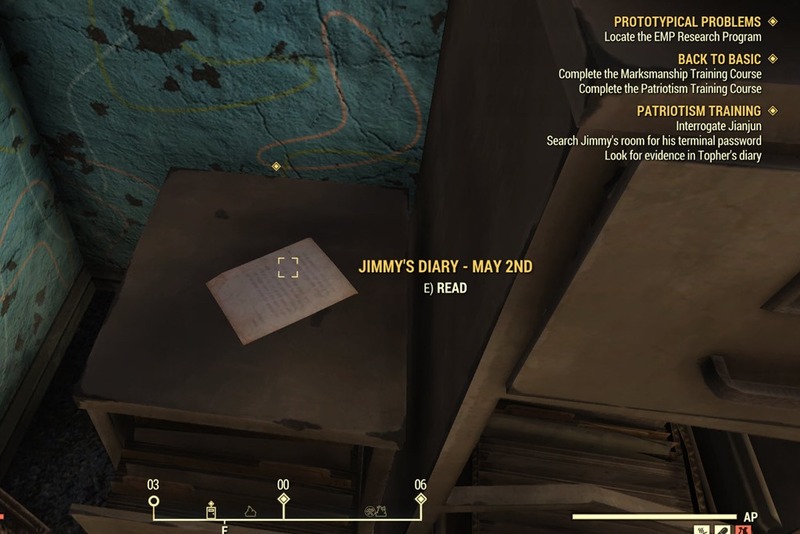 You will then read Mission 099-01 Orders before heading out to Vault-Tec University for the daily. 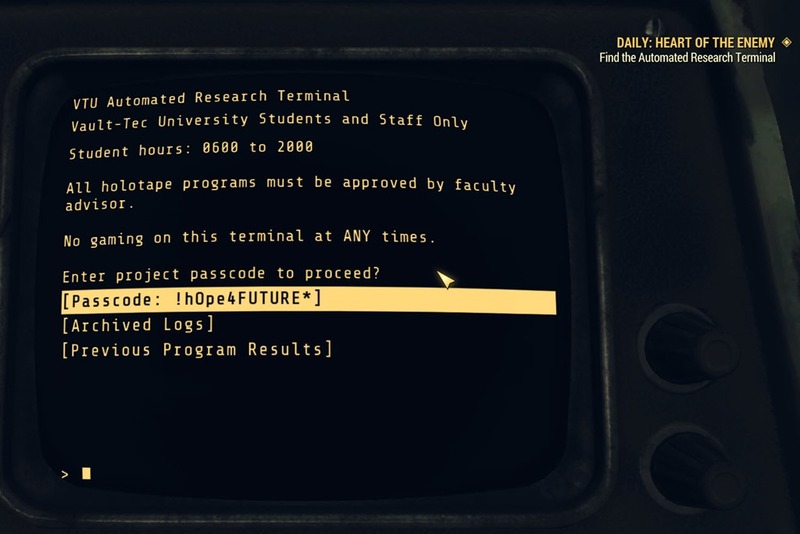 Go into Vault-Tec University and go into the Automated Research Terminal inside. 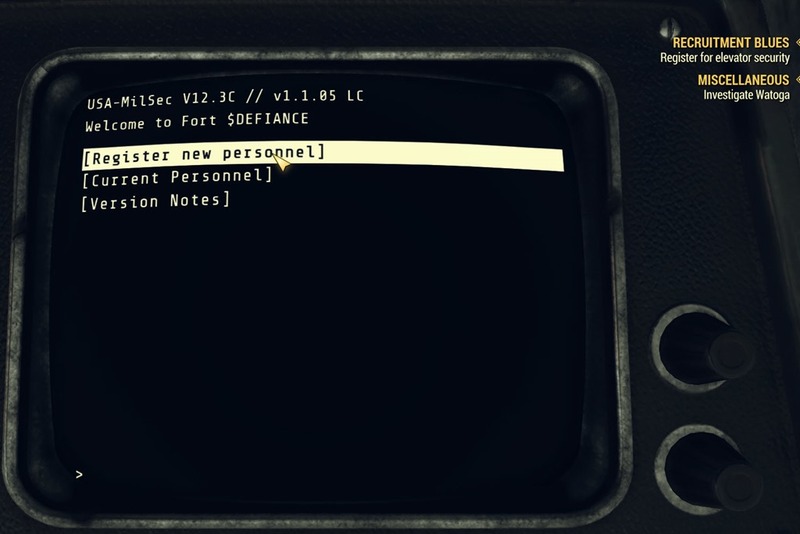 When you try to start the automated test, it will tell you there is no power so you need to go downstairs, hack a terminal and divert the power back to the Automated Research Terminal to proceed. 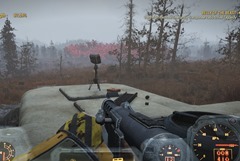 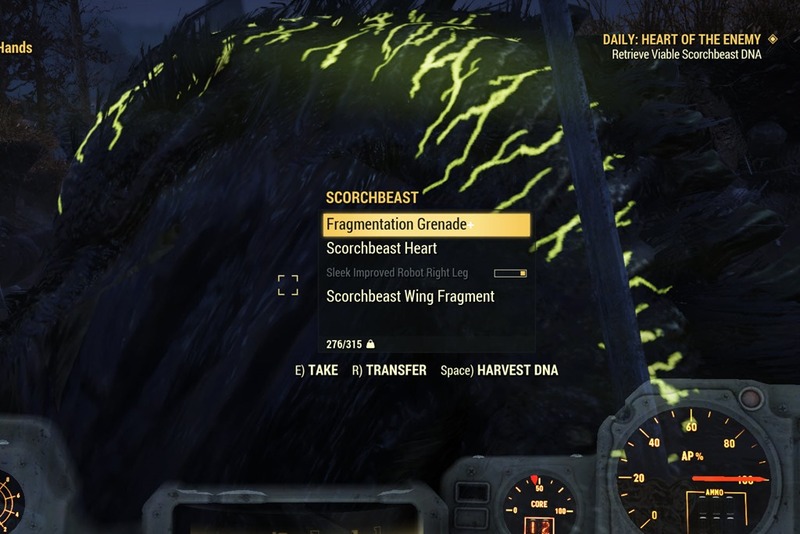 Next, it will direct you back to Cranberry Bog region to a Viable Scorchbeast DNA by defeating a Scorchbeast. 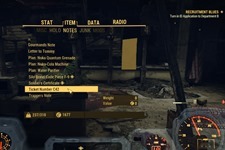 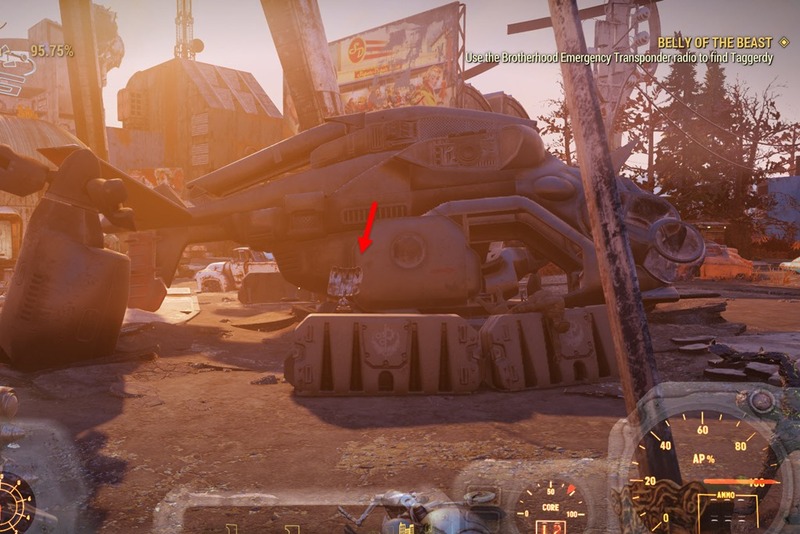 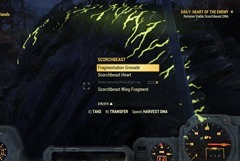 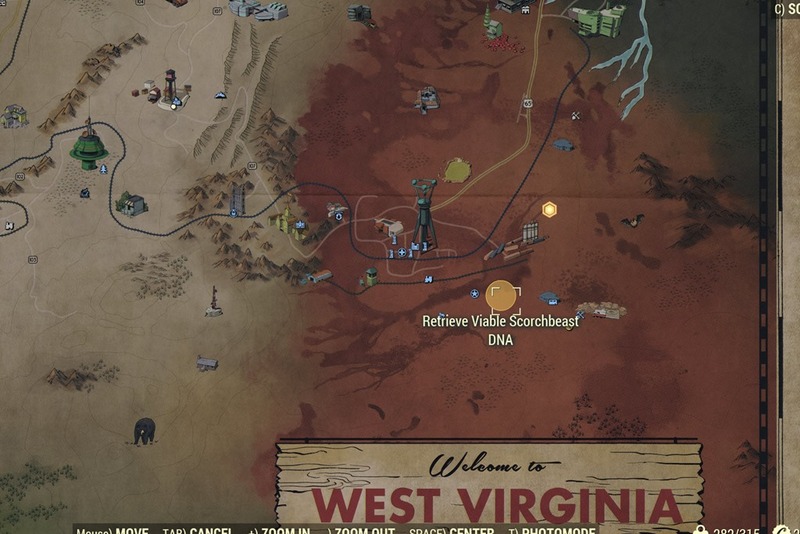 Once you killed the Scorchbeast, you will be given an option to Harvest DNA. 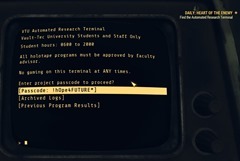 Return to Vault Tec University to complete the daily. 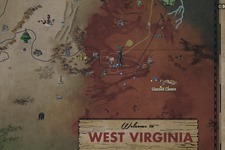 Fallout 78? 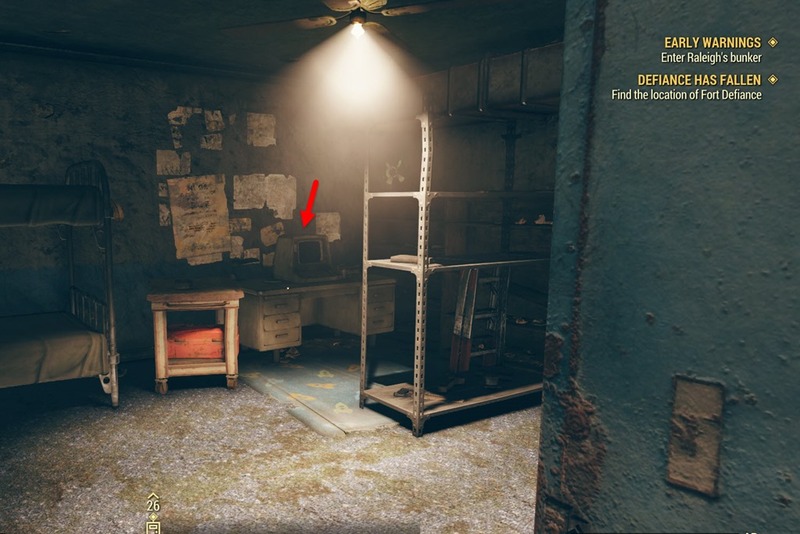 Is that correct? 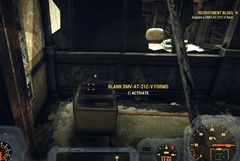 Good catch, I was pretty tired when i wrote it and mistyped 76 as 78. 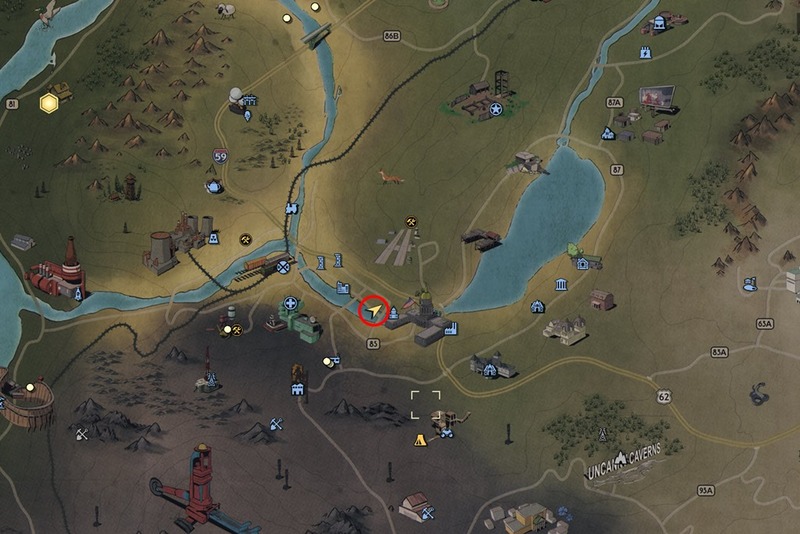 Ty, I was wondering where this had come from, glad doing that cave wasn’t a complete waste of time. I completed the quest and kinda scrapped the armor… is there any chance to recover it? 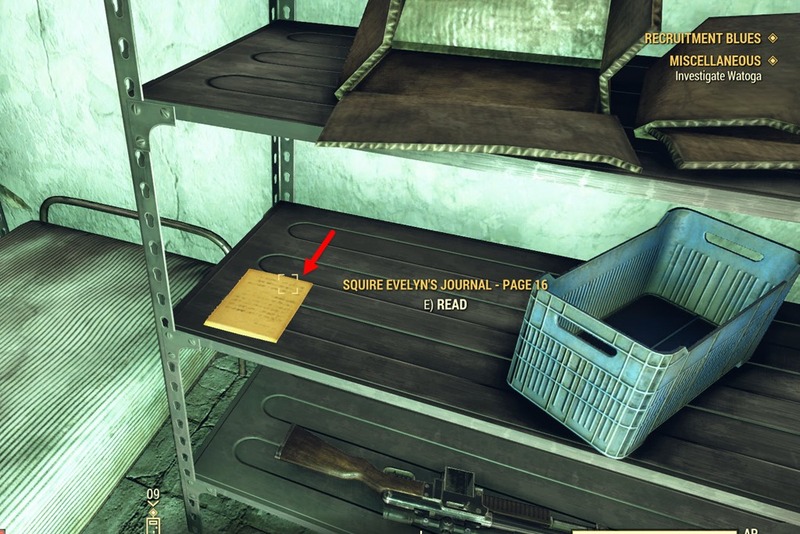 I hate that they just give you a blank chasis but it actually has items inside it.. 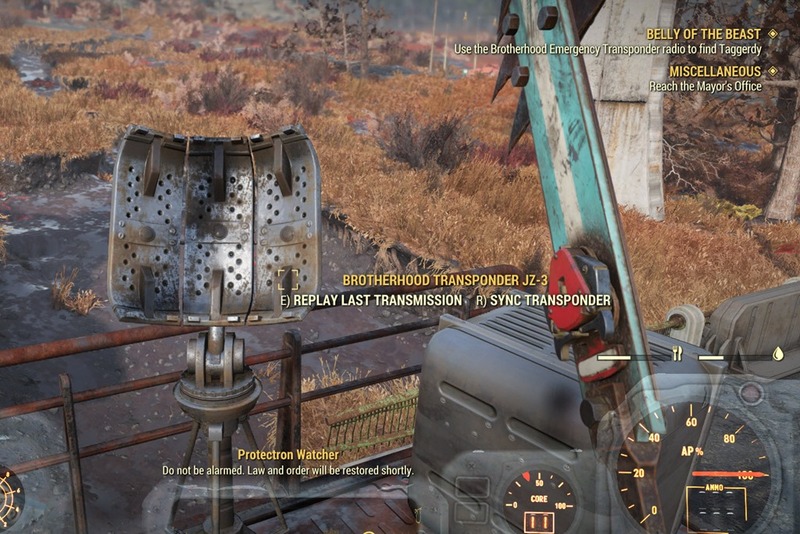 I dropped the frame. 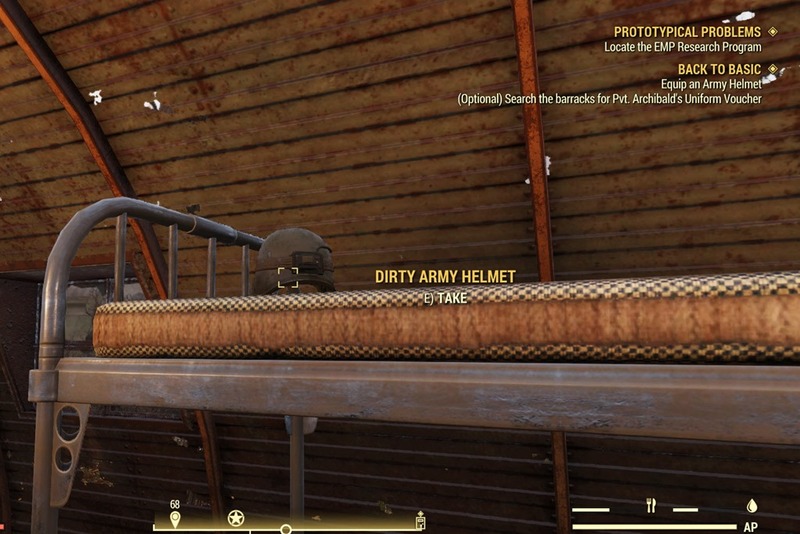 Didn’t even realise it had armour on it. 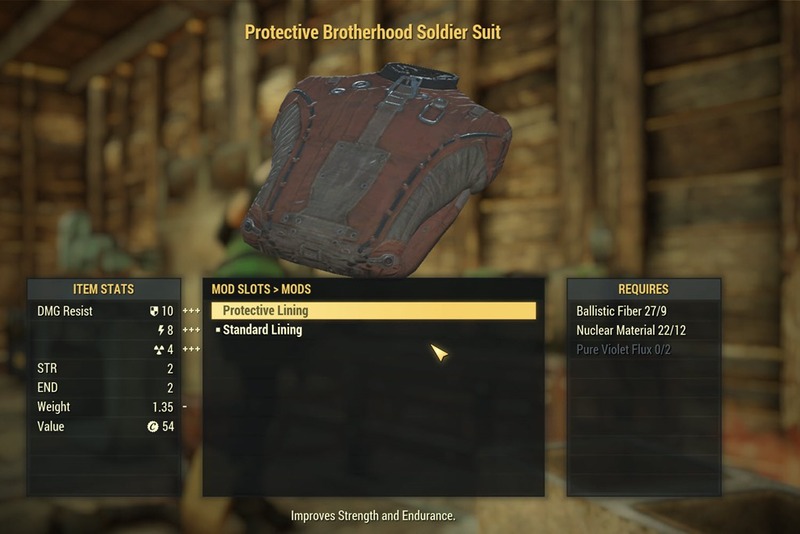 I already had 2 full suits of armour in my inventory. 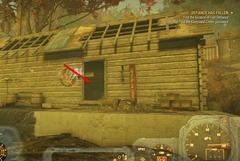 It would be nice if there was some indication what a frame has on it without having it to take it out. 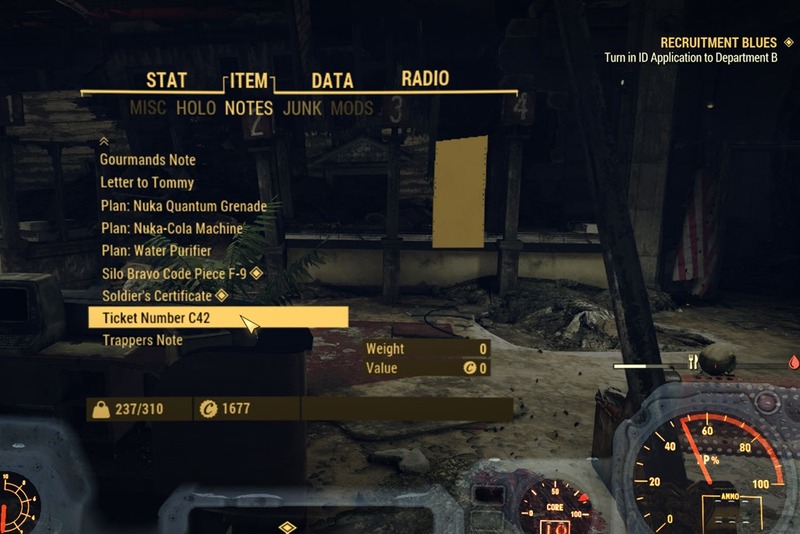 As it is, with the 2 that are in my inventory I only know which is which because they’re usually listed in the same order. i can’t progress past ‘Turn application in to C1’. after waiting for my number to be called the robot still says wait for my number. 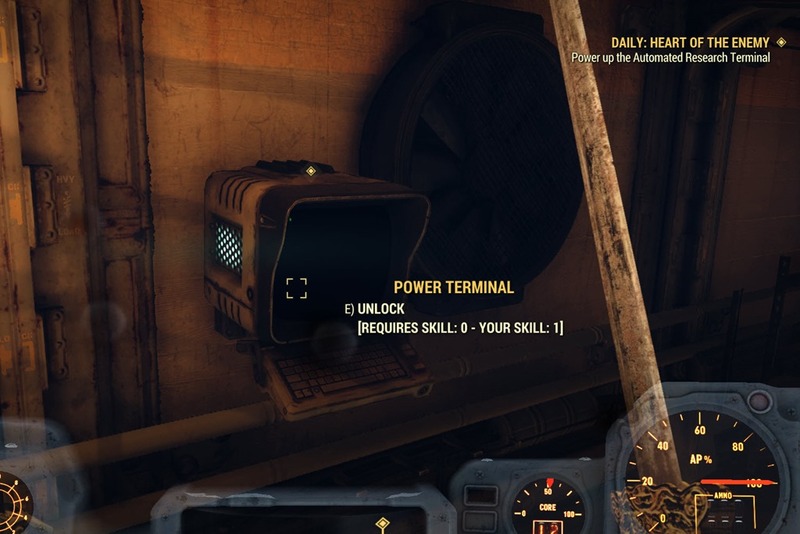 activating terminal to reboot C again starts the voiceover again, but after that nothing, no quest update. 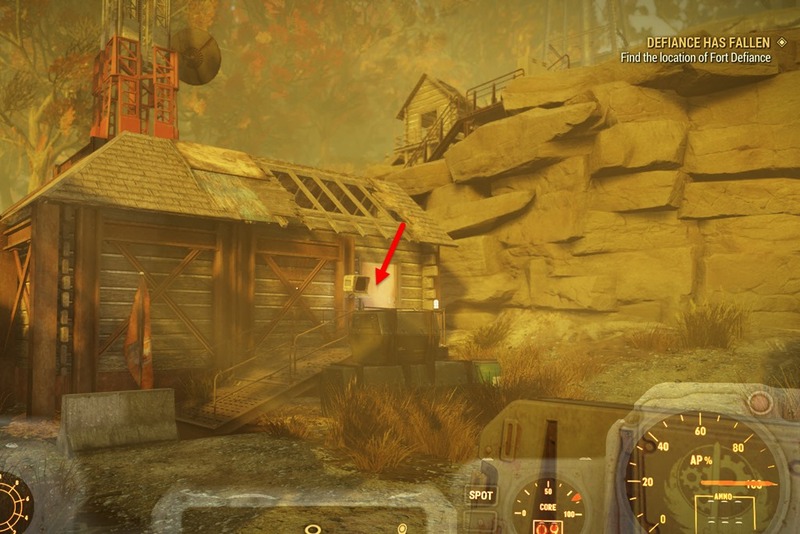 can’t progress, stuck. 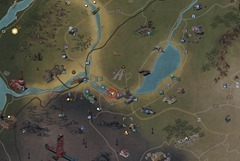 tried rebooting the game as well. 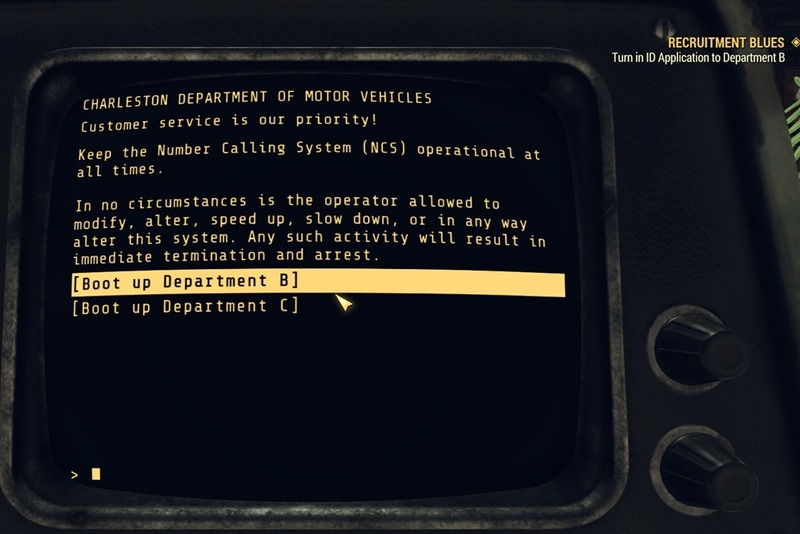 i waited 10 minutes in the DMV waiting area, then activated it again. 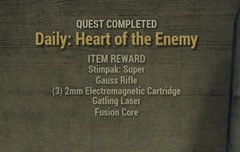 this time the quest progressed. 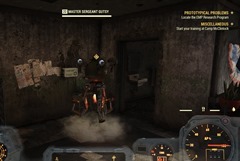 I finish quests but no ultracite power armor or schematik killed scorched queen too. Ive to subbmit a tiket to dev ?